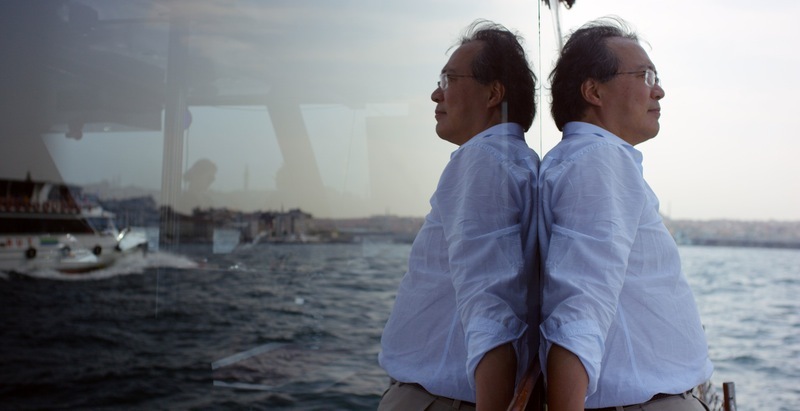 Film Review: The Music of Strangers: Yo-Yo Ma and The Silk Road Ensemble!! Everyone wants world peace. However, so few are willing to learn about other cultures and find a way to live and work together, co-exist. Yo-Yo Ma and the Silk Road Ensemble have and continue to learn and make beautiful, inspiring music for sixteen years. The Silk Road Ensemble consists of musicians from various countries like Spain, Iran, China, etc., along the historical Silk Road (the link from China to Venice which was utilized to trade silk among other products). Ma and other musicians (Wu Man, Cristina Pato, Kayhan Kalhor, Kinan Azmeh, etc.) brought us The Music of Strangers: Yo-Yo Ma and The Silk Road Ensemble, an insight to cultural musical masters from around the globe. The Music of Strangers: Yo-Yo Ma and The Silk Road Ensemble provides brief overviews of renowned musicians and the lands from which they hale. At the head is Yo-Yo Ma, one of the most celebrated cellists in the world. From his musical debut at age 5 to his current search for the next level of musical exploration, Ma is a master of the cello looking to innovate his beloved instrument into a novel form of world music. 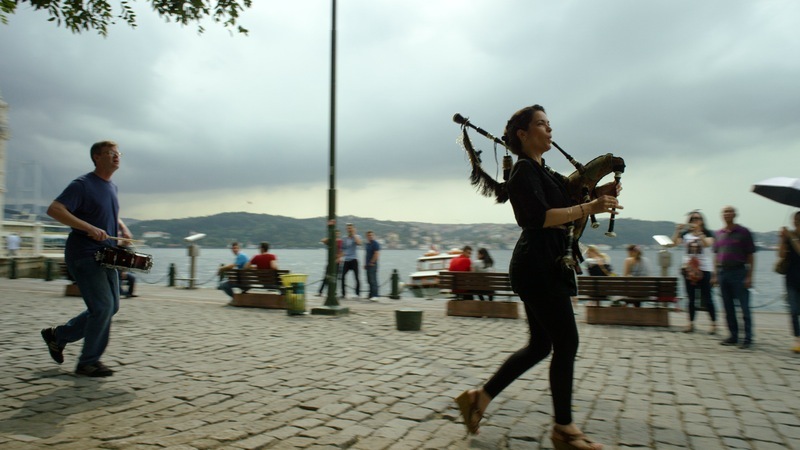 Ma, not along in this way of thinking, is joined by Wu Man of China, a pipa player; Cristina Pato of Spain, bagpipes; Kayhan Kalhor of Iran, kamanchen; and Kinan Azmeh of Syria, clarinet; and others (Yes, I had to Google the names of some of the instruments. It would have helped if titles were made for our knowledge). Who knew that the Scots were not the only players of the bagpipes? Honestly, did you know that they play the bagpipes in Spain? When the viewer sees and hears their stories of coming to America, making their way to continue to study and perform as well as the turmoil of some of their countries, it will pull at your heart, Kalhor’s story, in particular. Intermittently between each life story montages show the many different peoples that comprise our world. Let me say that again OUR WORLD. One of the purposes of the ensemble seems to be to inspire this truth to the masses through music. Wu Man states in the film “There is no East or West just the globe.” Once the world understands this peace is possible. It is possible to maintain your roots/culture, and still produce music with others even if you do not know their language or culture. Aside from love, surely music is a universal language. At times the music overlaps the dialogue, which distorts the words. However, the music is emotional and pushes the narrative along well. The Music of Strangers: Yo-Yo Ma and The Silk Road Ensemble moves forward and back in time to emphasize the work and dedication of this troupe. Even 9/11 could not destroy what they began back in 2000. When the US was at its highest alert, these musicians banded together and promoted unity in music. They are quite remarkable. 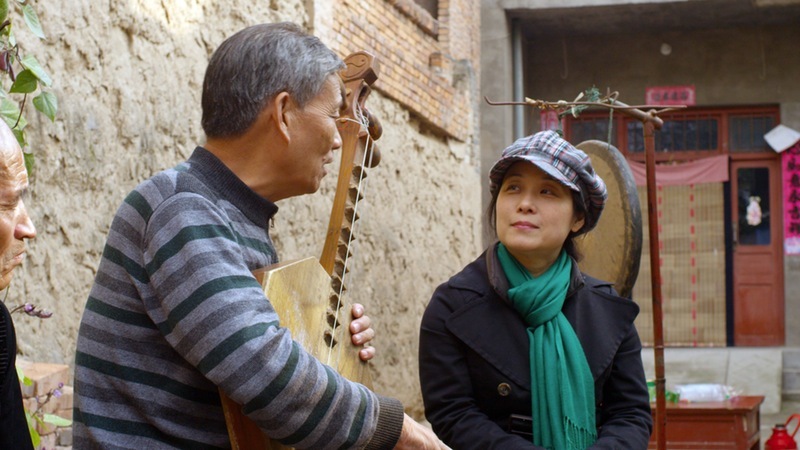 So, watch The Music of Strangers: Yo-Yo Ma and The Silk Road Ensemble, be inspired, and go out and learn about a culture that is not your own. A NEW STEP TOWARDS PEACE! This entry was posted on Thursday, June 9th, 2016 at 9:06 am	and is filed under Film, News. You can follow any responses to this entry through the RSS 2.0 feed. You can skip to the end and leave a response. Pinging is currently not allowed. « Don’t Miss The Chance To See ‘Batman: The Killing Joke’ On The Big Screen!!! !